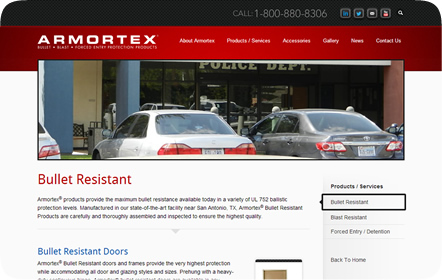 Producing and building the finest bullet, blast and forced-entry protection products, Armortex® is a company dedicated to protect your buildings using only the highest-grade, government-approved materials. 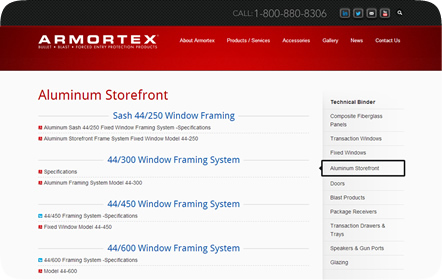 Windows, doors, and storefront systems are only a part of what Armortex® can manufacture for you. 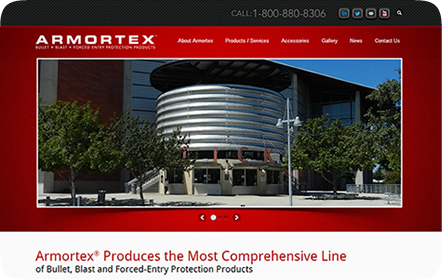 Armortex® wanted a website that would showcase their products and a way to easily share and access their Technical Binder while boosting their online ranking. 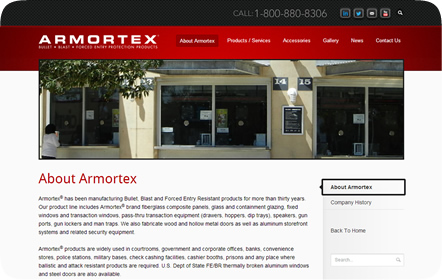 We designed and developed a completely new website with a focus on SEO to allow Armortex® to be easily searched. Their previous website had plenty of products, but due to poor content and images, search engines couldn't rank the website high enough to display on the first page. Now their new content, better information, quality images and customized keywords will help Armortex® increase their page views and their ranking online. We also integrated a gallery so Armortex® could show all of their previous work and what they're capable of producing. 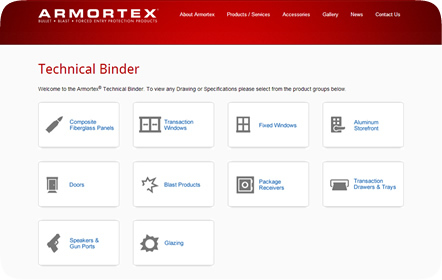 For their Technical Binder, we designed a custom, visual layout that is easy to follow and navigate. Users can know instantly what page they're on and move onto another page to view more files inside this PDF library of blueprints. 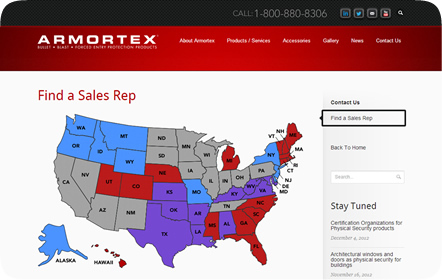 Their contact page also contains a custom map in which users can click on a region to know which sales representative to contact.